New Orleans In a rare surprise over the dozen years that conservative US Supreme Court Chief Justice John Roberts has run the nation’s highest court, he joined the four more liberal justices on an issue, delivering a 5-3 vote. Even more shocking the decision was a slap in the face to big banks, in this case Bank of America and Wells Fargo, on a complaint brought by the City of Miami. The court ruled that Miami had standing to sue and to further pursue its claims concerning the discriminatory lending practices of these banks and their allegation that such practices led to decreased property values in neighborhoods, and therefore reduced property tax revenue to the city as well as increasing blight in the community. This is big, really big, because it powerfully opens the door to a broader interpretation of the Fair Housing Act and its prohibitions against racial discrimination in preventing different standards between one neighborhood and another in cases like redlining, but it also speaks to differing and discriminatory standards in mortgage lending because of income as well, which was at the heart of broker driven exploitation that fueled abuse and outright fraud in the subprime market. There can’t really be too much doubt that Bank of America and Wells Fargo didn’t pause to even take a breath in lower income neighborhoods as they altered their supervision and standards willy-nilly to drive volume on refinancing as well as new purchases much as often as new purchases. Wells Fargo has already become poster child for not supervising its sales staff, but neither does the record of Bank of America and Wells improve when examining the way that they mishandled mortgages underwater during the Great Recession, exacerbating foreclosures. There’s settled evidence that property values decrease when homes are abandoned in communities, and foreclosures in Miami and other cities led to increased abandonment. 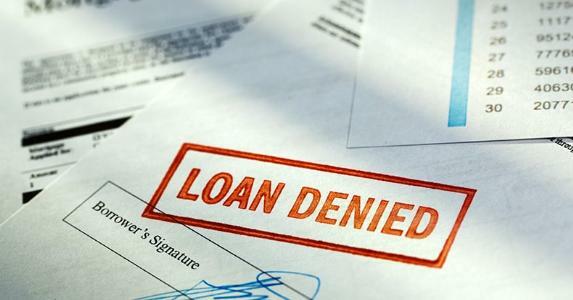 The scandalous disregard that big banks showed in refusing to modify the mortgage terms to prevent foreclosures as well as paying little attention to managing and maintaining the properties where they were foreclosing directly lowered values in those properties and whole neighborhoods. Miami has the lead role in proving this now that the Supreme Court has sent the case back down to Atlanta and the 11th Circuit Court of Appeals, and clearly the odds are still stacked against the city and favor the banks, but the door is open and common knowledge and a drive-by to any lower income community establishes the facts on the ground. The banks are hoping they can prove that they were just one of many crooks, and not the ones pulling the trigger to rob the neighborhoods of their value. In criminal courts this might be a case where the banks might not get a sentence for murder, but they would definitely do time for manslaughter, because there is no doubt that they hurt these communities and the people who live there, whether they were driving the getaway car, acting as the lookout, or holding the gun. This entry was posted in Citizen Wealth, Financial Justice, Foreclosure, Ideas and Issues and tagged bank of america, City of Miami, discriminatory lending, housing, predatory lending, wells fargo by Wade. Bookmark the permalink.